This blog will be used to relate personal stories and helpful information about pets and animals in general. All articles are written by the business owner, Barbara Murray, unless indicated otherwise. Unlike many blogs, we have no comment section. However, comments are welcome via email or on our Facebook page. The Franklin County Humane Society, like many other organizations around the world, works to reduce the feral cat population in the local area. If you'd like to help with this worthwhile program or are just curious what TNR is about . . . . Read More. What are these Lumps and Bumps on My Pet? Can Animals be Left- and Right-pawed? Janice Lloyd and Richard Squires of James Cook University answer the question: While watching my cat engaging in yet another battle with my shoelace, I noticed that he seemed mainly to use his left front paw. Do animals have a more dextrous side that they favour for particular tasks, just like humans? – Mike, Perth. Read the answer. Multiple cases of canine influenza have recently been confirmed in Louisville. Remember to go to reputable sources to get the facts on canine influenza as misinformation spreads on social media. Read More. Mikel Delgado, a Ph.D. Candidate in Psychology at the University of California, Berkeley, doesn't seem to think so and tells us why in this well-researched article. Read More. Confidence that our pets will be taken care of during and following emergencies starts with a plan. Learn from the experts how to make a viable emergency plan. Read More. Why Do Cats Like Empty Boxes? Do You Talk to Your Dog? And How Many Words Does Your Dog Understand? A personal story about rescuing a dog and all the puppies she brought into my life and what happened to each one of them. Each one had a unique personality and taught me something important. Read More. Vaccinations for Our Dogs and Cats: Yes or No? Learning the basics of pet insurance, how it works, what it covers and how much it costs can help us determine if we need to purchase insurance for our pets. Read More. Dennis of Fishboxpro offers tips for those of us with limited space on how to use a planted nano aquarium with fish to reduce stress levels. Read More. Pets Left in Hot Vehicles: What Can We Do? Dog Flu: What Is It? What Can We Do? Canine influenza is spreading across the southeastern United States after dog shows in Georgia and Florida. What is it and how can we stop the spread? Read More. 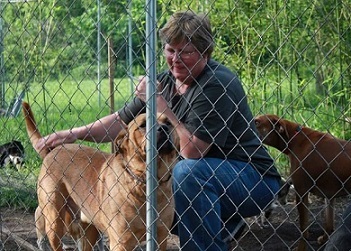 Breeders and Puppy Mills, What Can We Do? 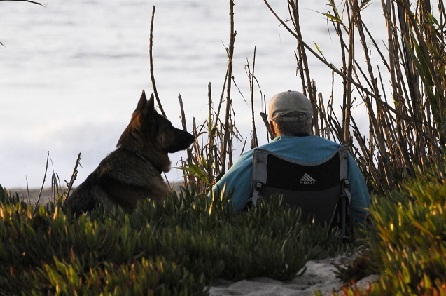 Frank T. McAndrew, a professor of psychology at Knox College, relates his personal experience of losing a long-time companion. Read More. My friend Maggie Greene, a former Frankfort resident, offers tips on buidling a cat room without breaking the bank. Be sure to read both Part 1 and Part 2 of this helpful and entertaining post. I first met Chance about 10 years ago as a small dog chained to a pole on the blacktop in front of a residence on Holmes Street, with no food, shelter or water on a 99 degree hot summer day. I stopped my vehicle to check on him and a gruff man appeared. If you have never held a perfectly healthy animal while someone puts a needle into its arm to end its life, you may not understand the importance of having your animals spayed/neutered. On November 30, 2016, my heart was broken. I had to make the decision to end Abby's suffering from an incurable kidney disease. She was my little girl and I loved her like I would have loved a human child. I was her "Momma" and there was no telling either of us anything different.